Learn how to visually identify all the parts of a boxplot. Discover the impact of changes in data on a boxplot's appearance. We recommend you answer the questions even if you have to guess. Then use the simulation to help you with your answers. After interacting with the simulation click the "Check Answer" button. 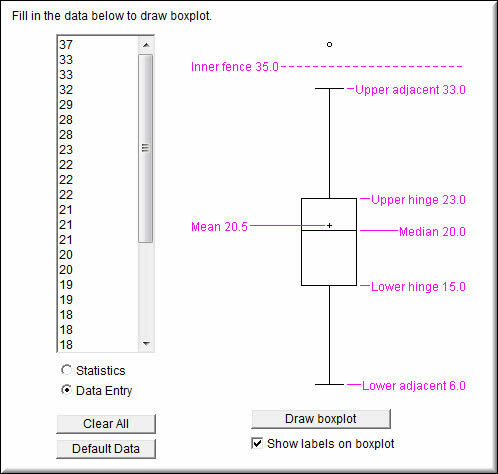 Change the data on the left and click "Draw boxplot" to update the boxplot. Select the the Statistics option to view summary information for the data.